The Music Therapy profession is growing. 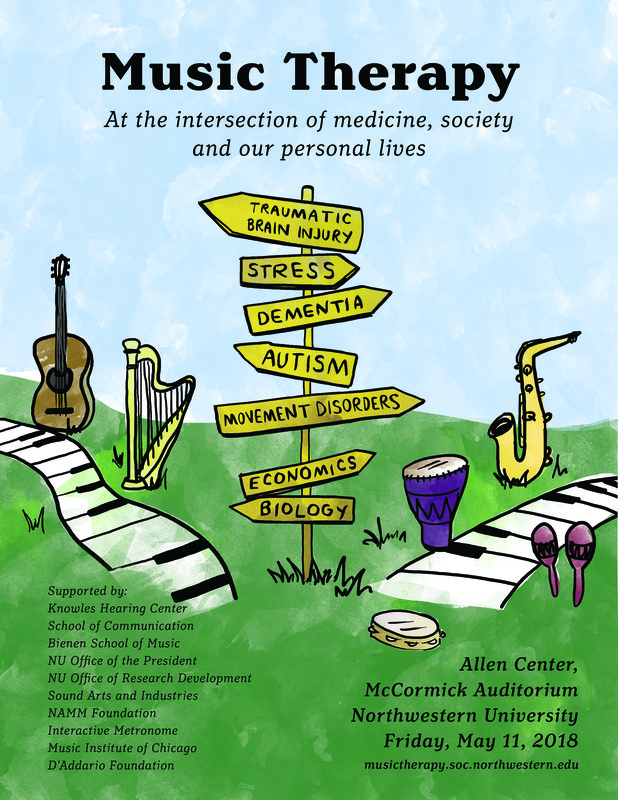 With high-profile faculty and innovative curricula at the intersection of health, music, and communication, Northwestern University is uniquely positioned to engage with this vital and growing discipline by hosting a one-day symposium. Music Therapy has emerged as an internationally-recognized approach to the treatment of medical disorders such as dementia, stroke, post-traumatic stress disorder, autism, movement and emotional disorders. Existing at the intersection of musical knowledge and practice, health care, and the science and technology of sound, Music Therapy has been growing through the spread of graduate degrees, accrediting bodies, federal and state entities, and professional organizations. This world-class conference on music therapy aims to generate awareness and excitement about this under-utilized intervention in human health. It also serves to promote collaborations for team science to advance the base of knowledge for helping individuals who may benefit from music therapy. Hence, our goal is to learn from leading practitioners and proponents of music therapy about selected clinical topics. Presenters will discuss issues relevant to clinicians, neuroscientists, surgeons, musicians, music therapists, and musicologists. See a list of hotels in the area. This program is offered for up to 0.5 ASHA CEUs (Various levels, Related area).